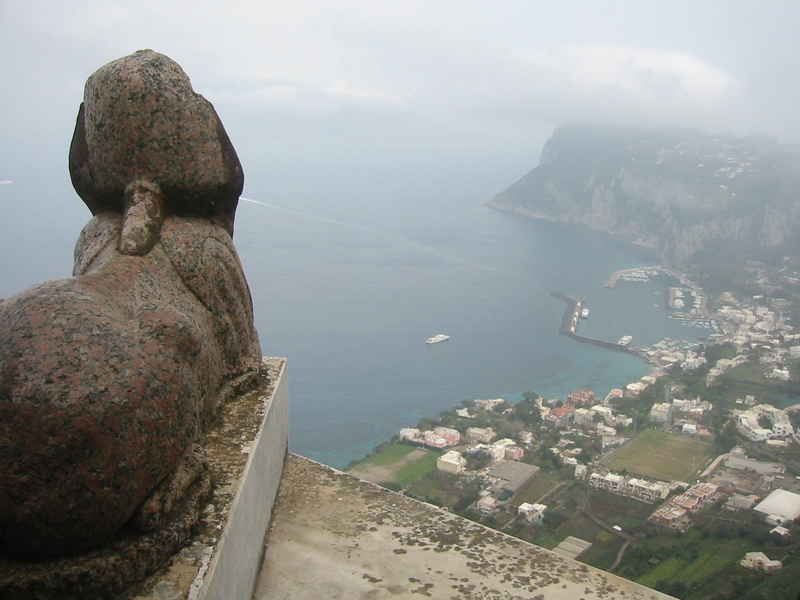 High above the steep rock walls of Capri stands a lone figure. 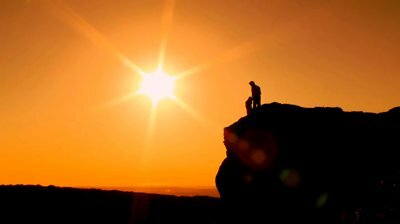 Rays of sunlight dance and shimmer along the golden embroidery of the garments covering his large, well-built frame. Obsidian eyes search the green-blue sea laid out before him, coming to rest on a distant land – his own empire. His eyes narrow as he slowly inhales. 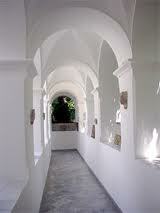 Emporer Tiberius turns sharply and passes quickly along the cliff wall of his villa and into its sunless interior. The year is 32 AD. Forward to the 20th century……a new villa sits upon the very site where Tiberius once stood. 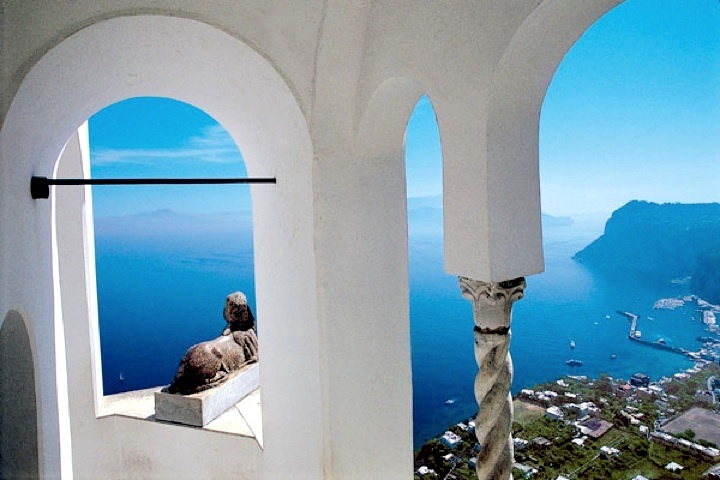 Setting high above the Mediterranean Sea like an exotic pearl, Villa San Michele majestically adorns the island of Capri. Her stately architecture and elegant whiteness shimmer exquisitely under the warm Italian sun. 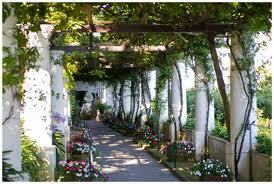 Beautiful green gardens climb and wind their way around the bleached walls and the colonnaded pergola. Lovely white columns follow the edge of a cliff offering a breathtaking view of the sea and sky. A wonderful blending of art, nature and architecture has inspired this villa unlike any other. 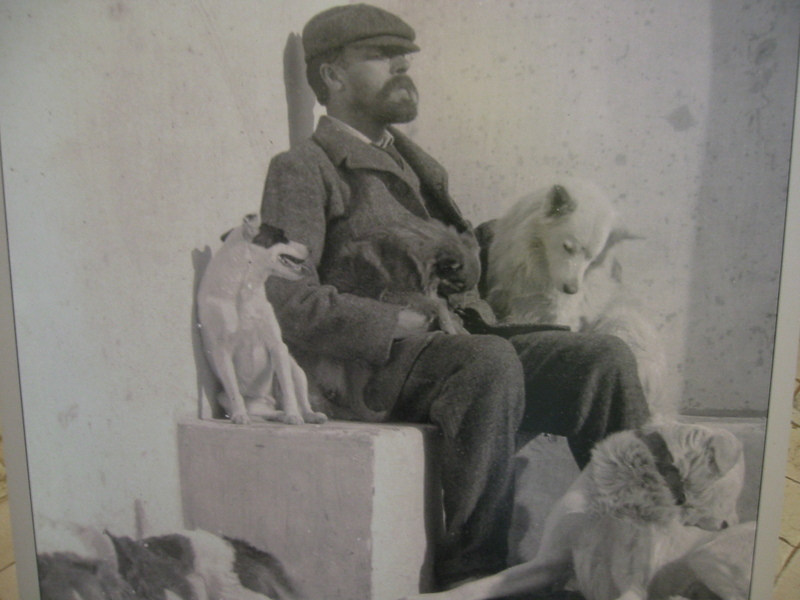 Swedish doctor Axel Munthe acquired the estate and devoted himself to rebuilding the ruined Tiberian villa of Capodimonte. 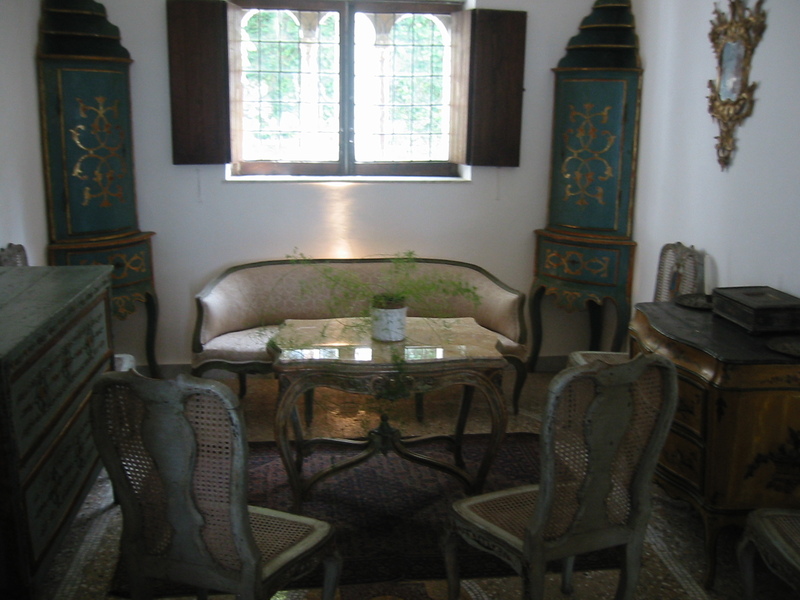 Beginning in 1896, the new villa of San Michele encompassed the old villa floor plan of Tiberius. 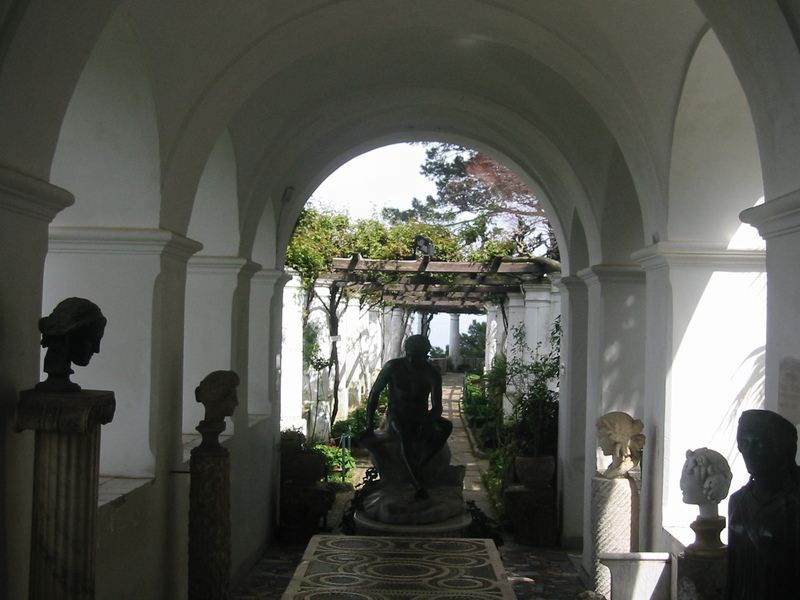 Originally, Emperors Augustus and Tiberius had built 12 palaces and villas on Capri since the time it was established as an imperial estate in 29 BC. On a cool spring morning walk, I find myself standing at the doorway to Axel’s exquisite villa. 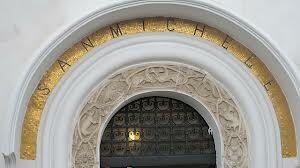 Over the arch I read the inscription San Michele in gold mosaic accompanied by marble friezes with animal and plant motifs. 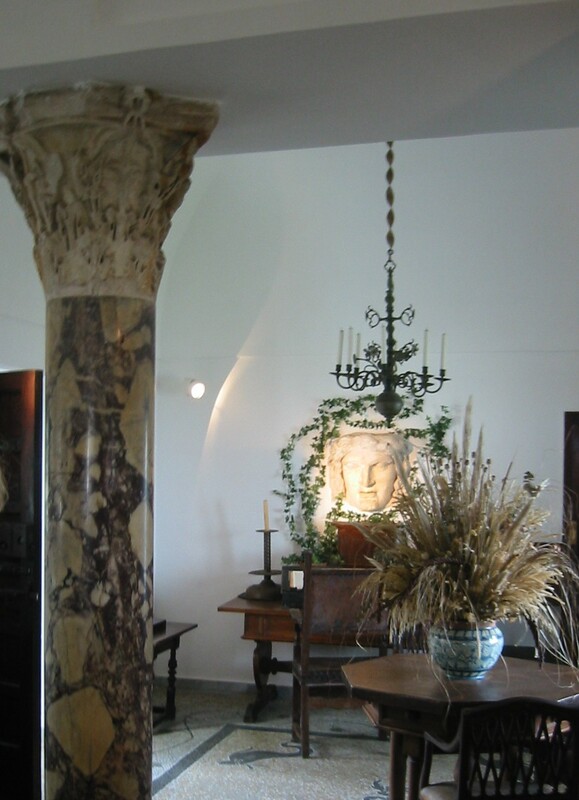 I learned that at his passing, Axel Munthe willed his villa to the Swedish government, who have kindly preserved it as a museum. Sculptor Court Leading to the Gardens. The linen-white villa with its dark wooden furniture gives way to an atmosphere of seraphic delicacy. Imbedded in the walls are sections of artifacts, predominately funerary articles, inscriptions and bits of pottery found on the site. 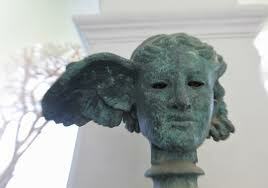 Several intact ancient pieces of sculpture adorn the walls, the oldest an Etruscan votive head dating from 450 BC. The large head of Medusa dresses the wall above the modest writing desk, which Axel apparently stumbled upon while exploring the ocean floor! 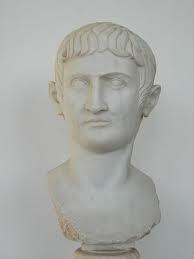 Mounted on another wall is a copy of the head of Tiberius, the original having been stolen. All of these sculptures, I discover, are from the mainland. 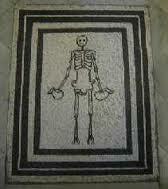 I enter the dining room and see a Pompeian replica of a skeleton floor mosaic in stark black and white. Long and spindly, it holds a carafe of wine in one hand and a jug of water in the other. I interpret the message as one of moderation in all things, or encouragement to enjoy life to the full while there is still time. The villa and garden stand 300 meters above sea level with a striking view of the Sorrento Peninsula, the Gulf of Naples, and Mt. Vesuvius. At times the isle of Ischia is visible to the north. Below me from the garden wall I observe the Marina Grande, busy with hydrofoils and ferries that deliver crowds of passengers while taking others back to the mainland. The ambrosial gardens of the villa fill me with wonder. Lovely displays of camelias, flowering ash, azaleas, Chinese wisteria, hydrangea, roses and many other varieties enhance its timeless quality. The air is astir with the fragrant perfume of flowers. 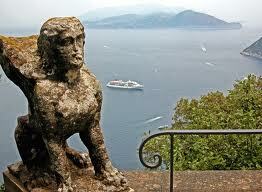 Statues of antiquity adorn the walkways and peak through the greenery. Tall and stately pine, palm and cyprus trees bring a culmination of palatial elegance. A small chapel resides on the gardens with fragments of the original Roman wall and pavement used in its construction. A quick tour through, and I find myself impatient to return to the garden. I inhale its fragrant beauty, hoping to capture the spirit of San Michele. As I slowly wind my way back through the colonnaded pergola with its elegant white Capri columns, I catch site of the 3200 year old Egyptian Sphinx perched majestically on the terrace parapet. There she proudly sits, watching over her island and the sea in timeless immortality. Simply stunning and gorgeous photos. Ahhh, Amalfi Coast, where dreams are made. Really enjoyed this post! Your writing was lovely and drew me in completely. Thank you! Every observation about this special place is so true – it is such a stunning legacy to an amazing man. You could certainly feel the serenity while there! I’m glad you took lots of photos! How will you be able to seam up the memories without them? I do the same. Thank you for kind words. I’m so glad you enjoyed the post. 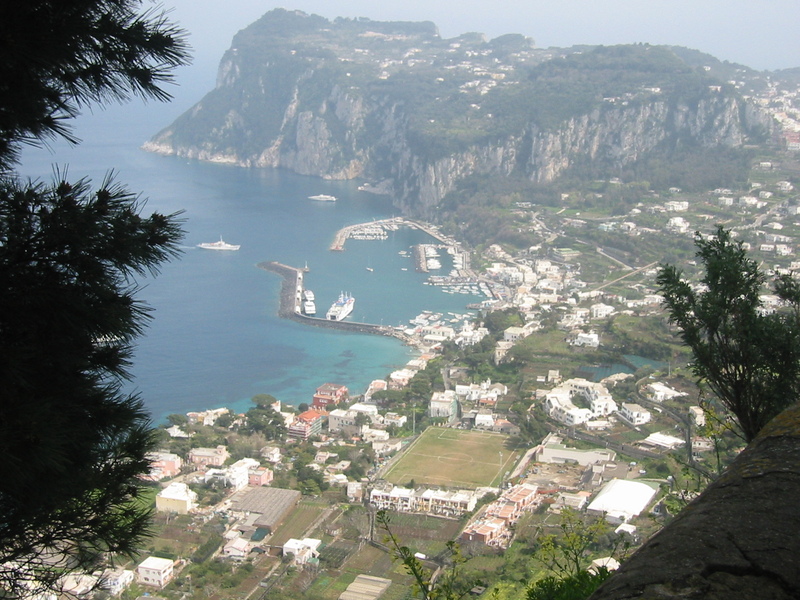 Joan, Capri is a one of a kind place! And worthy of many photos. I hope you find them and relive some of those lovely memories. Wow! Susan- how beautiful! Thanks for sharing…! 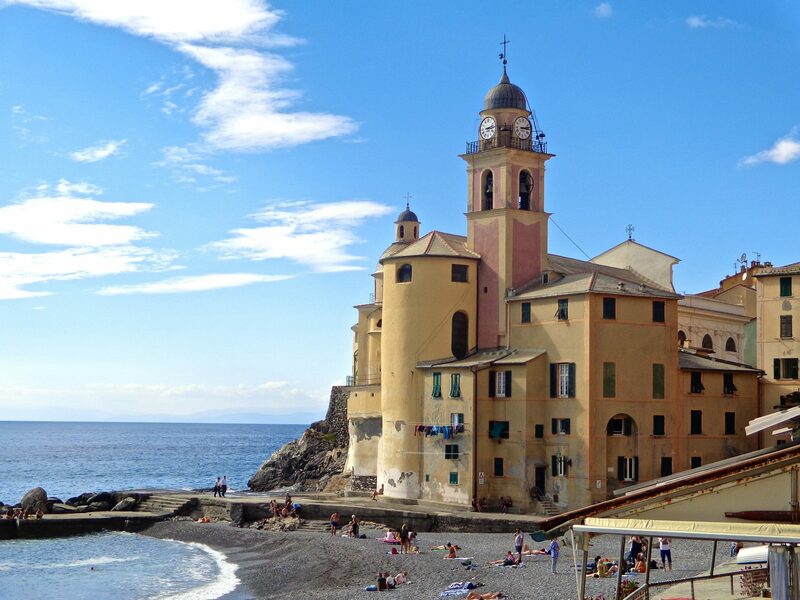 I forwarded to my friend Carol, who has also visited sunny Italy and has a special place in her heart for the place and the people!